I love to find sources for a research paper. I have literally improvised a little song about how much I love my books while I drove home from the library. It’s a weird hobby, okay? I know. But doing it well can make such a huge difference in the quality of your final paper. 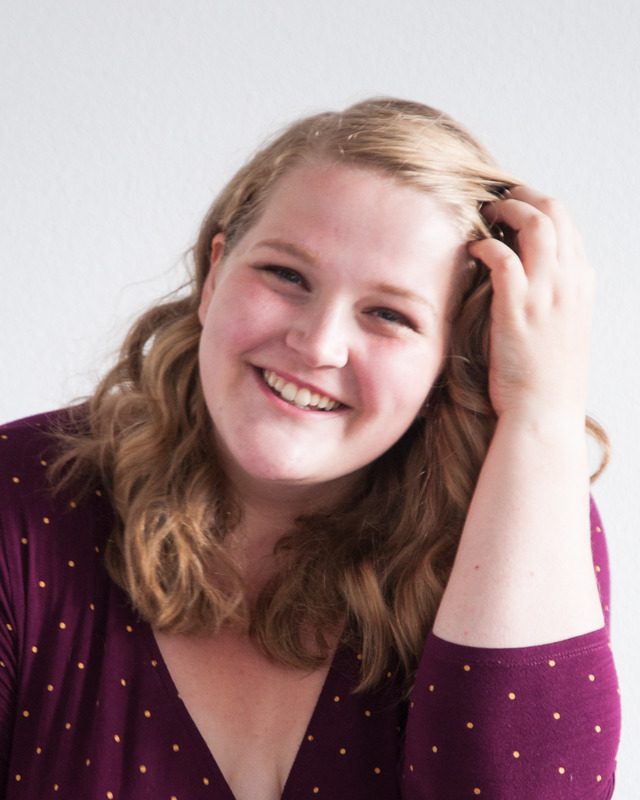 When you find really great, reliable sources, your paper will sing; and when you accidentally source a scholar who’s been discredited and now is known to lurk Reddit a lot, it’s really embarrassing (don’t ask). 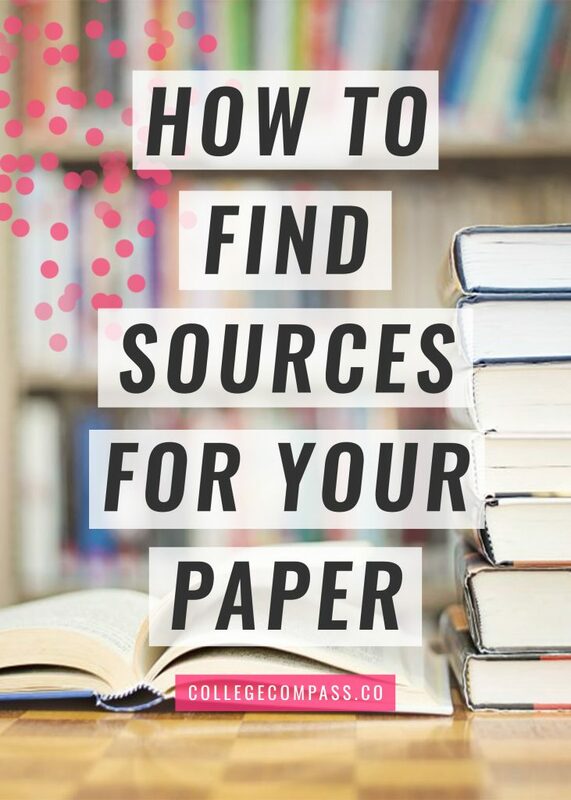 Today, to help your paper sing and not sink, I’m sharing my most effective ways to find sources for a research paper. While it isn’t an exhaustive list, it’s a great start. This method will take you some effort and a few hours of your time if you do it right, but it’s a great way to get the best results you can find for your research paper. First, I recommend going through the class readings that are relevant to your research paper topic. Jot down a list of every book or article mentioned in the footnotes; for this, I don’t recommend doing it by hand, so try Google Docs or something like Evernote. Once you go through all of your readings and write down all relevant footnotes, you should have a pretty meaty list. Cut out anything that feels irrelevant or too off-topic; you don’t want to get bogged down in sources. Professors are there to help and to talk to you. Especially of the research paper is on a topic outside of your comfort zone (or your area of major or concentration), it’s a great idea to schedule a meeting with your professor or show up at their office hours and ask for some guidance. Tell them your topic and your thesis statement, if you have one, and ask for sources that are relevant. They’ll probably come up with several scholars whose work is relevant to your thesis, so be sure to jot these down so you can go through their work later. Ask for spelling if you need to. Next, go online and find a list of the papers and books that the scholars have written. See which are most relevant to your work and add those to your list. Be smart about how you search these; use terms like AND, AND NOT, or OR to get the most out of what you want. This site will give you a quick intro on how to search well using these phrases. As you find new sources that are relevant to your paper topic, write down any books and download any journal articles immediately. If you download them now, you’ll save yourself time later. Finally, take the sources you have and get them all. Yes, really; use inter-library loan, borrow from your own college library, and print all your journal articles. If you don’t feel like you have enough, go through the footnotes of each as you read, and get any additional resources listed there (warning: if you go through this approach, do it sparingly, because the sheer volume of sources you stumble upon will never, ever end!). If you’ve followed this method, you probably have a mammoth list of sources to go through right now. Especially if you went and got all of them, as I always do, you may feel a little overwhelmed! Don’t worry! You have the time and skills to get through these readings efficiently. The secret lies in skimming and only reading things that are directly relevant to your paper. Here’s how. Most of the books you got likely only have one or two chapters that are directly relevant to your thesis. I usually take sticky notes and put one on the starting and ending pages of the section I need to read; that way, I see that I only need to read 40 pages of a book instead of all 270, and I feel a little less overwhelmed. Most students don’t realize, but there’s a difference between skimming and glossing over. When you gloss over an article or chapter in a book, you lose almost all the important information because you’re barely paying attention. 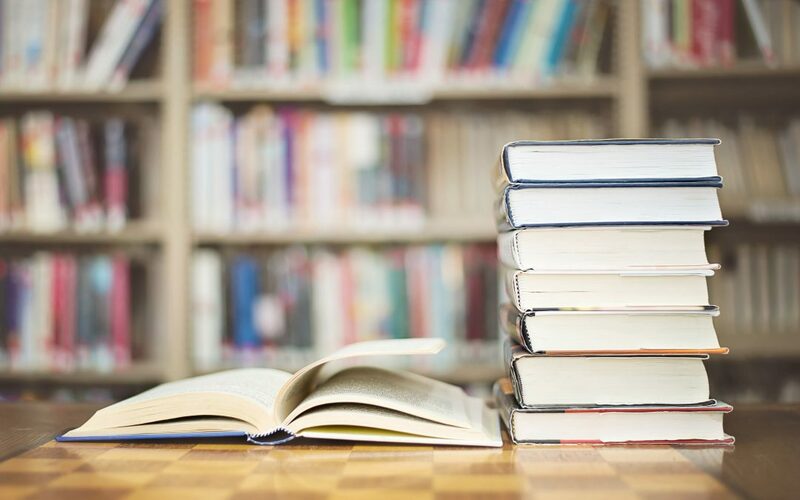 Instead, skim the smart way — read the introduction paragraph of each chapter, read all headings and the beginning of each paragraph, and read the conclusion paragraph. For books and articles that aren’t relevant to you, this is a great way to weed them out. For readings that are relevant, this is a great primer so you can go back and reread what you need to. Unless this is a project like a thesis, you probably don’t need to spend weeks and weeks doing research for it. Make sure that while you get rapt in your research, you don’t lose sight of the bigger picture. Ultimately, you need to be able to come to your own conclusion and opinion on the topic, so while you’re reading and taking notes, you give yourself the time to think the material over and not get lost in it! With these steps in place, you’ll outshine the competition and set yourself up for a great research paper. How do you find sources for a research paper? Let me know in the comments! That’s great. I feel silly for not thinking of going through my sources footnotes for more sources. I typically used to start my research on Wikipedia and go through it’s credible sources. It would sometimes work well but the results often ended up super skewed. Recently, I’ve been searching niche forums/blogs on the subject and looking for references to the “best” or “most important” books. It has worked okay but I’ve been looking for something better. Hey Kay! Thanks so much for commenting. Wikipedia sources is definitely a great starting point. I’m really glad the footnotes comment was helpful; I really like being able to help students improve, so hearing that something sounds effective or useful is so important! Thanks again for stopping by! Thank you for your helpful ideas. Yes, I had forgotten my note book, too. And I feel legerity by reading your notes.